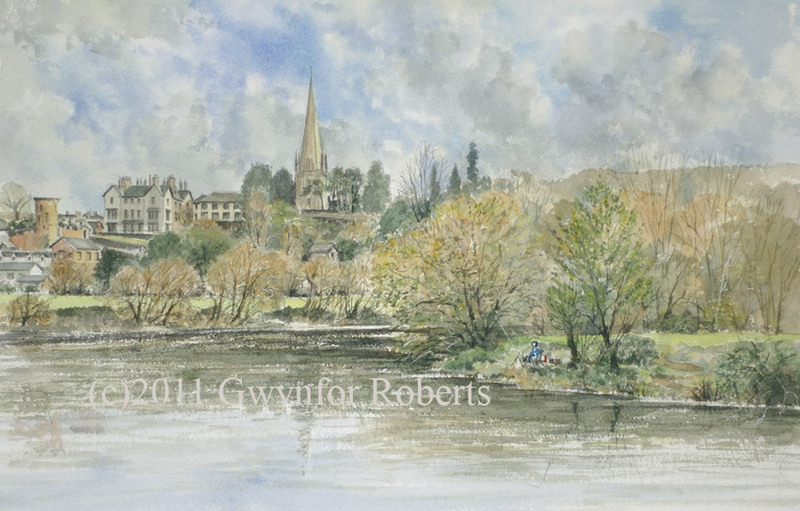 In this painting the viewer is looking from Wilton towards Ross-on-Wye with the river Wye sweeping to the right and under Wilton stone bridge which is just out of the painting to the right. The single figure of someone fishing can be seen on the bank. The person was actually there in that spot while I was taking details.